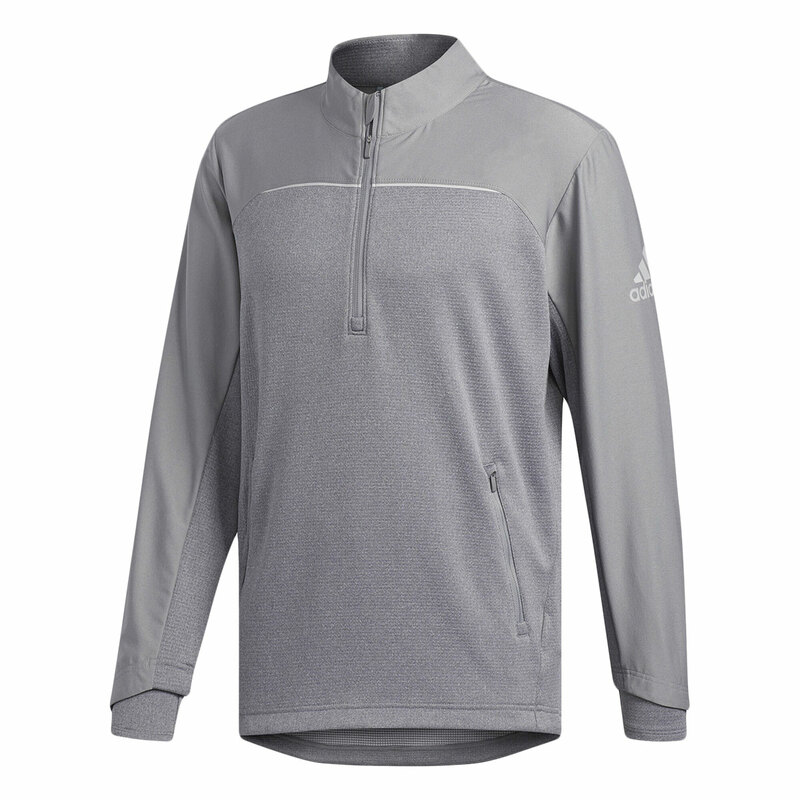 This weather protective layer has been designed with a fleece-lined shell to keep you warm, with a water-resistant fabric to keep you better protected against the elements. 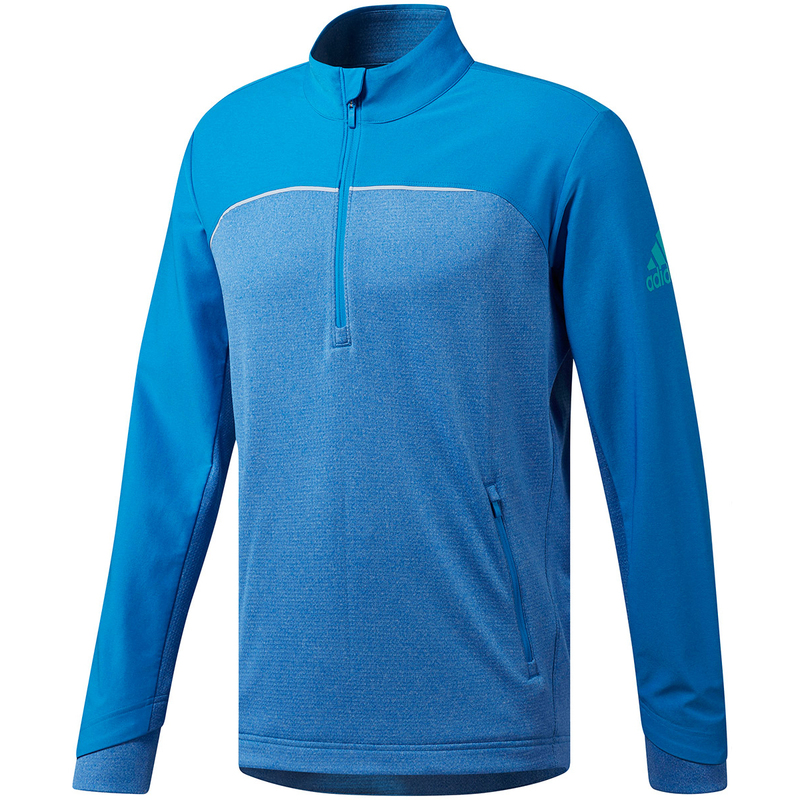 The design features a 1/4 zip opening, with drop tail hem and telescopic cuffs for increased coverage. The layer has a stretch element, and has articulated elbows for increased freedom of movement, all perfect for playing golf. 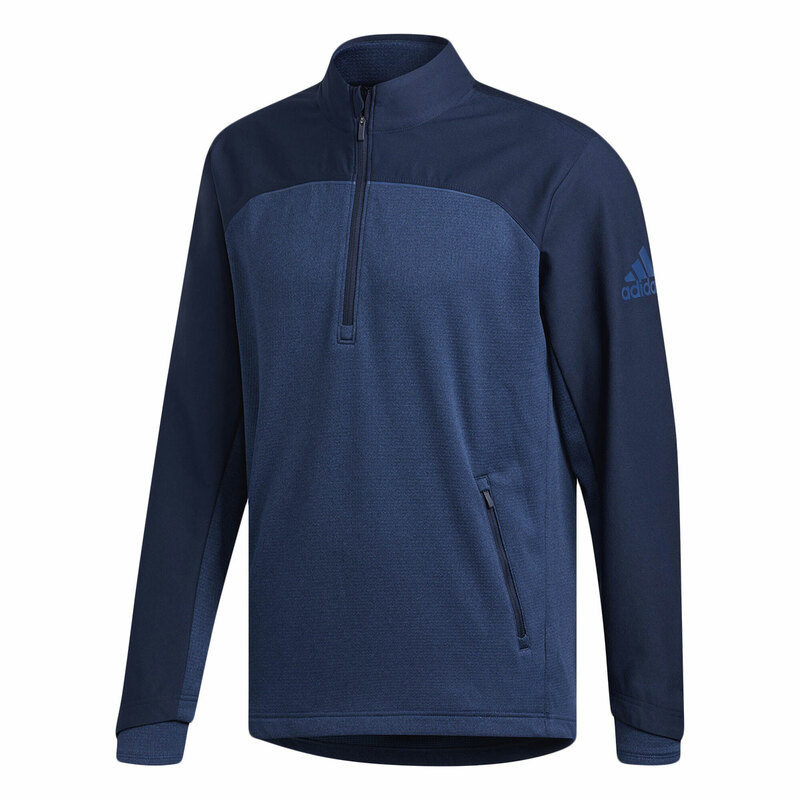 Finer details include front zip pockets, and an oversize adidas badge of sport on the left sleeve.